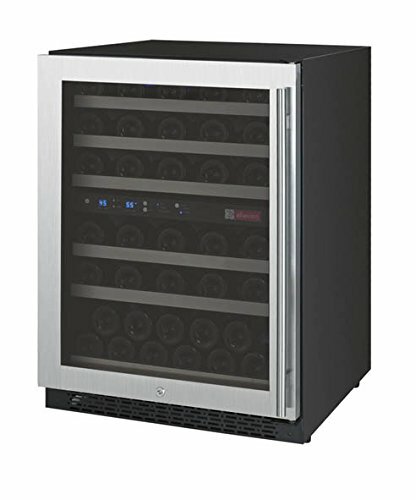 The all-new FlexCount Series 56 Bottle Dual Zone Wine Cooler Refrigerators from Allavino are perfect for anyone looking to store a diverse wine collection. Digital displays and user-friendly push button controls make it easy to individually adjust the temperature of each zone, allowing you to store both red and white wine simultaneously. 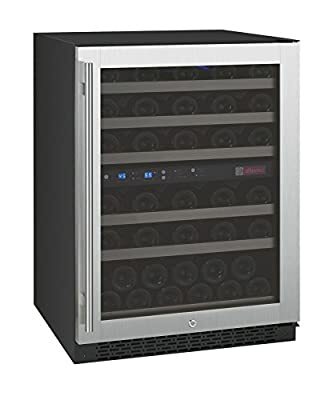 Thanks to Allavino's new cutting edge shelves, which are thin enough to allow more space between shelves than you will find in similarly sized wine refrigerators, you can now store larger bottles without sacrificing bottle capacity. 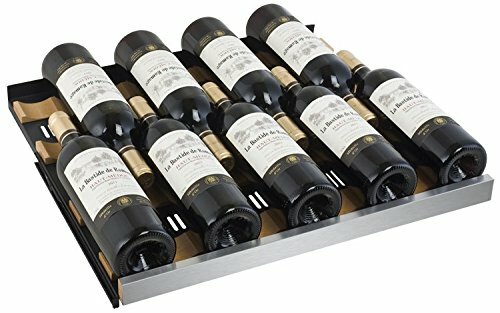 These shelves are constructed of durable metal to provide reliable stability and prevent sagging over time, and feature wood slats that cradle your bottles and help minimize harmful vibration. 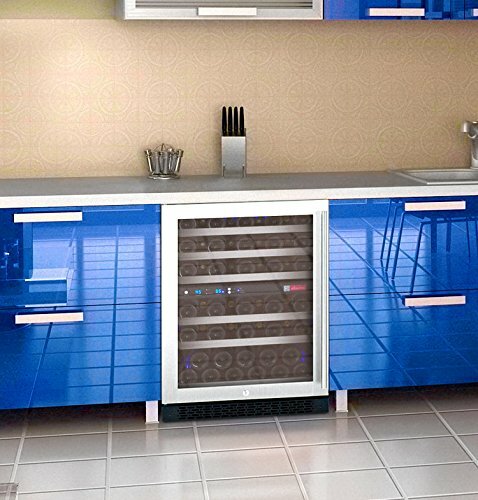 These front-venting refrigerators can be built-in to provide a seamless look to your kitchen, or used as stylish freestanding units with fully-finished cabinets.